Another good birdie chance. 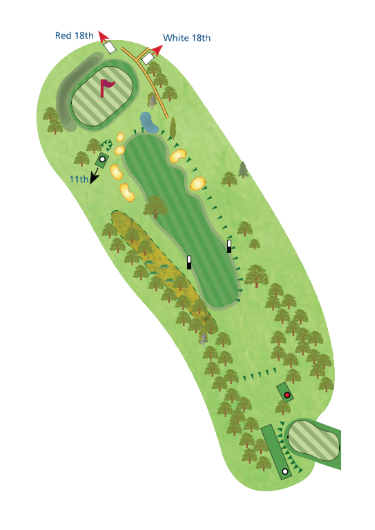 A fairway wood from the tee favouring the right side to avoid the lone tree on the fairway, and the bunkers that lie down the left. This leaves a pitch into another plateau green, and hopefully a birdie. The only danger is the pond front right of the green.